​* Purchase price is listed on the GoldenDoodle or Irish Doodle page of this web site. * A $50.00 discount is offered for those paying for their choice of puppy by cash. * For those picking up or taking delivery in the state of Kansas it is required for us to collect the appropriate Kansas "sales tax". 1- Purchase may be made by "PayPal" (see PayPal button at bottom of each web page). 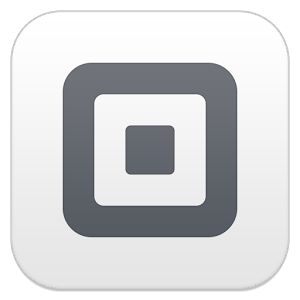 2- Purchase may be made by credit card via "Square". This may be done in person or by phone call. "Personal checks can not be accepted"
* A $300.00 deposit will hold your puppy until 8 weeks of age at which time the balance due is required. * When a deposit is made, the balance due must be paid prior to the puppy's 8 weeks of age, and before pick-up, delivery, or shipment of your puppy can be made. * If your puppy is flying to its new home, the estimated added cost for this will be around $350.00. Exact costs will be provided after we have received the information needed to determine the actual costs. * If the distance is reasonable, you may request our personal deliveryof your puppy- call and we would be glad to discuss this with you. Included with your new puppy! 1. AKC Reunite ​Microchip with prepaid lifetime enrollment. 2. "Goldendoodles: Barron's Complete Pet Owner's Manual". 3. A highly rated Essentials training DVD. 5. A collar and leash. 6. A package of the puppy food that your puppy has been eating. 7. A copy of mother's and father's AKC, UKCI, or CKC Registration & Pedigree. 9. A signed copy our "2 Year Health Guarantee". 10. A copy of the puppy's health report by our veterinarian. 11. If your puppy is to be sent by airline, a new airline approved travel crate will be included as part of the shipping costs. Important Notice: When deposit or full payment is made, this verifies that buyer has read and understands the "Purchase Terms & Conditions" and the "Health Guarantee" posted on this web site.